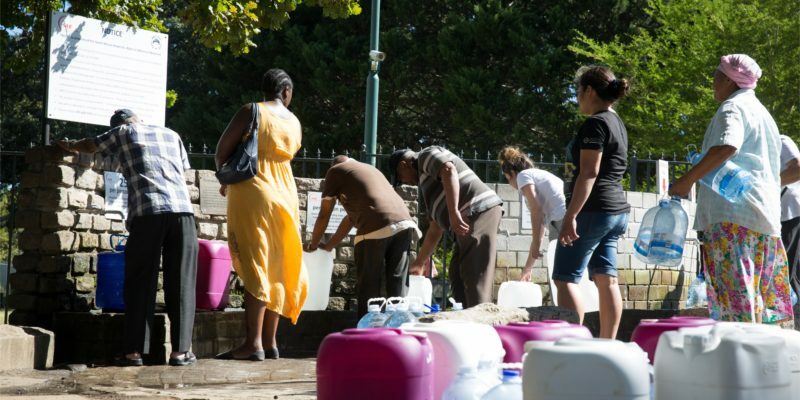 Faced with an unprecedented water crisis, the new South African government led by Cyril Ramaphosa recently announced its intention to redirect its country's policy towards an economy that promotes sustainable development, accompanied by the United Nations Environment and the Trade Centre. Shortly after his inauguration, South African President Cyril Ramaphosa announced that he intended to reorganise the government’s economic policy; he actually wants to move towards a much greener economy. According to Edna Bomo Malewa, Minister of Water and Environment, this new policy aims for inclusive, equitable and sustainable growth. More than half of the country’s provinces have been trying to shape such a policy since 2011 and to succeed in this transition, the central government must rely on provincial leaders who need to be well trained to carry on this project. The United Nations Environment and Trade Centre organised training for them on the role of green industrial policy and trade in the transition to sustainable development. This training was attended by many local policy makers and non-state actors. It enabled beneficiaries to understand the fundamentals of a green economy, while detailing the tools for concretely producing goods while saving natural resources. During the training participants proposed the creation of a Special Economic Zone (SEZ) for biomass in the Eastern Cape. They also discussed the development of the Gauteng Used Phone Recycling Centre in northern South Africa. The idea of creating a green fund for the North-West Province was also part of the agenda.